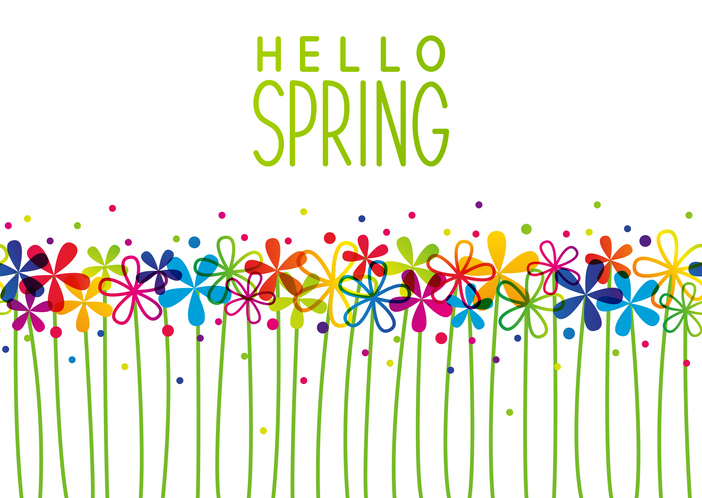 Spring is Right Around the Corner: Is Your Air Conditioner Ready? If this is your first Canadian winter, you may find yourself longing for spring with an unusual degree of enthusiasm. In fact, even if you are a winter veteran, you may feel the exact same way! Spring is a great time in the life of every Canadian—that time when you can go outside again without taking an extra 15 minutes to bundle up first. But it is also the season when you have to deliver the bad news to your air conditioner that winter vacation is over and it is time to get back to work. Every year, some of our customers go into the winter season knowing their air conditioner barely made it through the summer before. Others come out of winter realizing their furnace may not have another winter in it. Here in Canada, we take our energy conservation goals very seriously. Truthfully, it can be very nice to save the planet and also put some green back in your wallet at the same time! Available rebates, incentives and credits change from year to year, but one thing stays the same: in order to qualify for most of these incentives, you need to work with an authorized contractor who can perform your installation to energy efficiency standards and apply for the incentives you qualify for on your behalf. We are happy to report that Shipton’s is an authorized contractor for the whole of Ontario. We can help you find and apply for the incentives and credits you qualify for based on your purchases. One current energy efficiency upgrade that we can help you apply for is changing to a high-efficiency furnace along with one additional upgrade (such as adding insulation to your attic or walls. You can qualify for up to $5,000 in rebates. How Much Will You Save By Upgrading Your Furnace & A/C? There is no doubt you will start saving money from the get-go with some of the great energy efficiency upgrades Ontario is offering for 2019. But the savings don’t stop when the rebate hits your bank account. In fact, simply upgrading to a more efficient heating and air conditioning system will also impact your bottom-line budget in measurable ways starting from day one. So let’s take a look at potential energy savings for your furnace and air conditioner in turn. While it is true that some furnace systems can last for up to 25 years, Energy Star recommends considering an upgrade when your furnace is more than 15 years old. Why might this be? The newer Energy Star technology can deliver up to 15 percent greater energy efficiency, which equates to purchasing 15 percent less energy each month to run your furnace. The average Canadian homeowner reports that 61 percent of their monthly home energy use goes to heating alone, which means a 15 percent energy use reduction can add up to a lot less energy! Ontario homeowners report their average monthly energy bill is around $2,358. Based on reported heating costs, this means around $1,438 of this amount gets spent to heat your home. What would trimming 15 percent off the top look like? It would look like $215 back in your pocket each year! Nice! The average air conditioner has a slightly shorter useful life span. Energy Star recommends that you consider upgrading if your air conditioner is 10 years or older. A properly installed new air conditioning unit can trim up to 20 percent off of your annual cooling costs. Because the warm season is typically shorter than the cold season here in Canada, the initial financial impact is less substantial—the average homeowner reports spending just 3 percent of annual energy purchases on cooling costs. But 3 percent is still something, and finding ways to trim the household budget is always good! Plus, you can wave goodbye to the threat of unexpected repairs and outages when you have a brand-new energy-efficient A/C unit humming away throughout the warm season. Did Someone Say Better Indoor Air Quality? Indoor air quality (or lack thereof) is now linked to everything from better sleep to a reduction in allergy and asthma symptoms. Indoor air quality is becoming increasingly important in the wake of new airtight energy-efficient construction standards and increasingly indoor lifestyles (many Canadians report spending less than five minutes outside on the average day). How does upgrading your furnace and air conditioner contribute to better indoor air quality? The first improvement comes with improved filtration. New energy-efficient HVAC systems with higher MERV ratings provide superior air filtration to what any older model could deliver. The second improvement comes with proper installation, which will resolve any uneven air flow and air delivery from room to room, which often causes some rooms to be hotter or colder, more or less humid, more or less dusty and other issues. We also recommend scheduling a professional indoor air duct cleaning service at the time your new HVAC system gets installed. By removing all trapped dust, toxins and debris from your entire system, you start over from scratch with air so clean you will say, like our other customers, that you can smell the difference! Don’t miss our spring BOGO special: Now through March 31, 2019, buy a Shipton’s furnace and get a Shipton’s air conditioner for FREE! Just complete this short form to read all the details and redeem your offer!